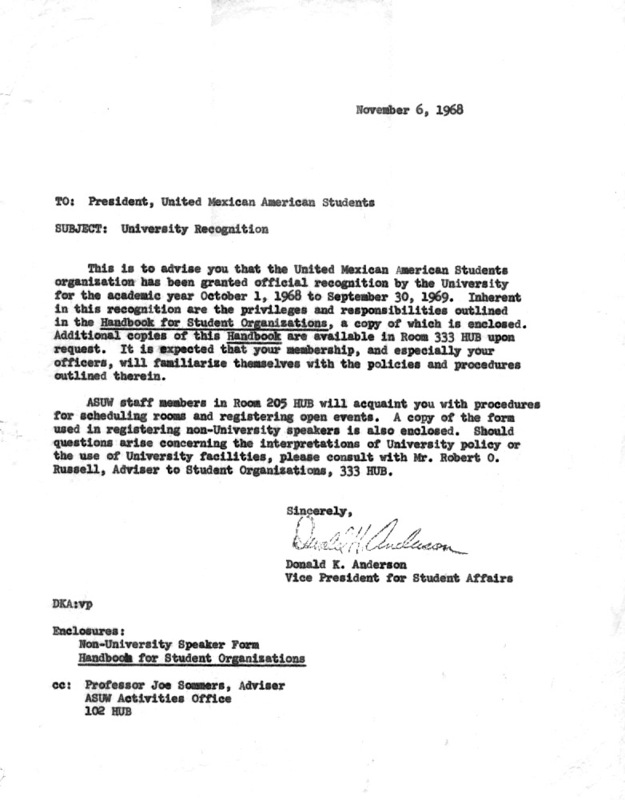 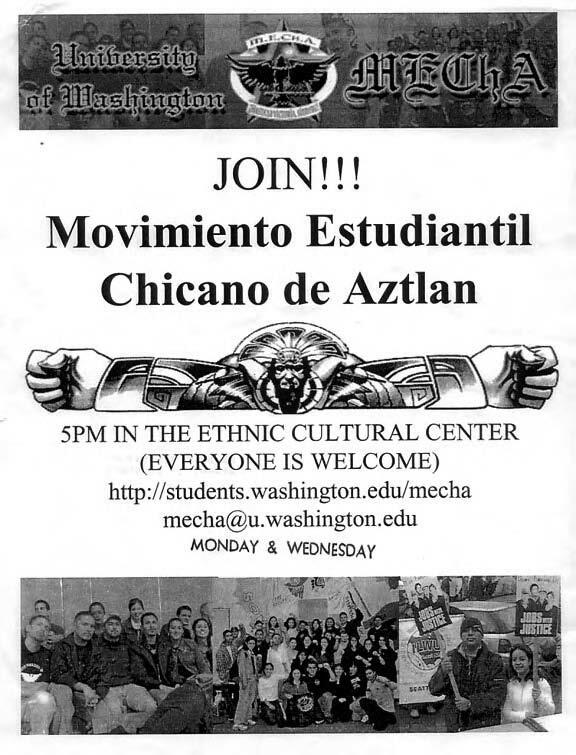 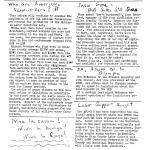 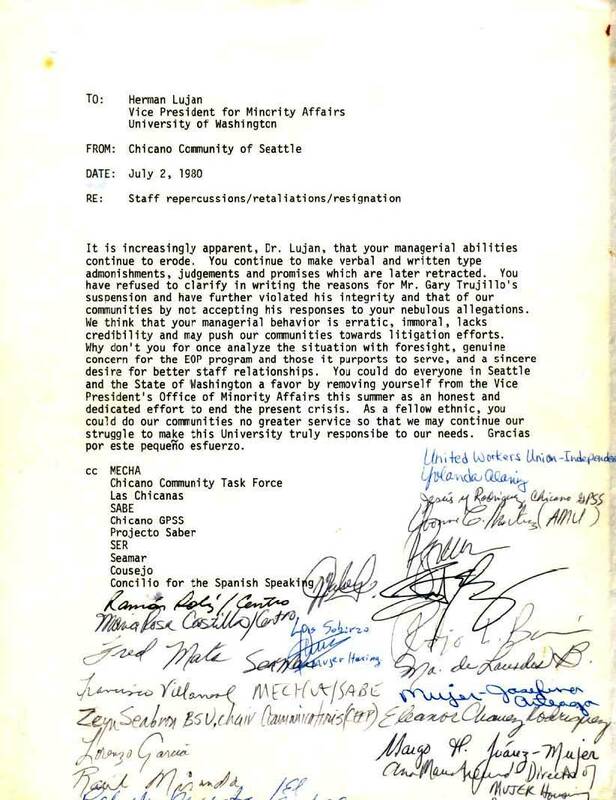 These documents belong to Movimiento Estudiantil Chicana/Chicano de Aztlan de University of Washington and may not be reproduced without permission. 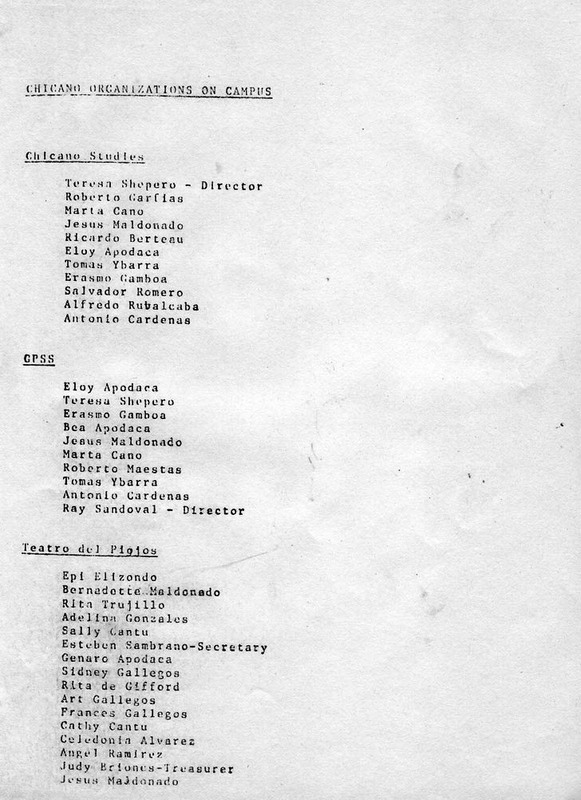 Many were collected by Jesus Rodriguez. 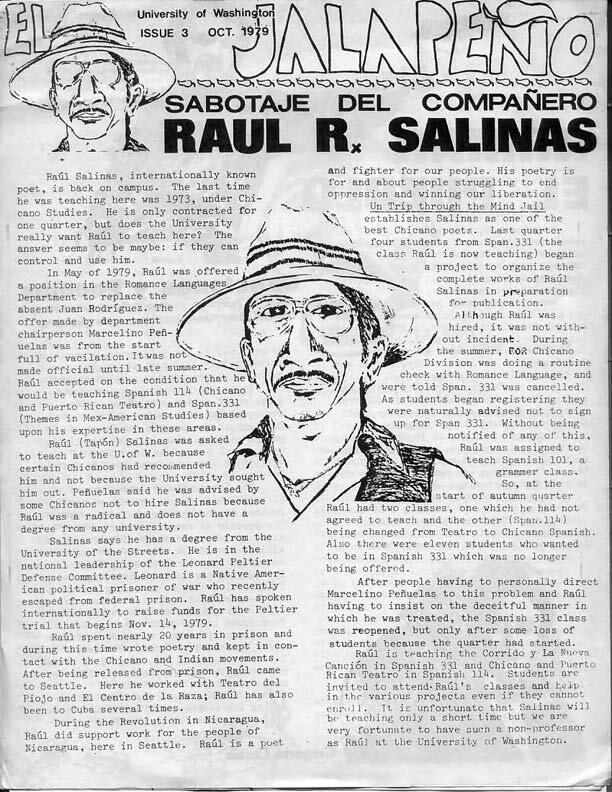 Oscar Rosales Castañeda is principal editor of this page. 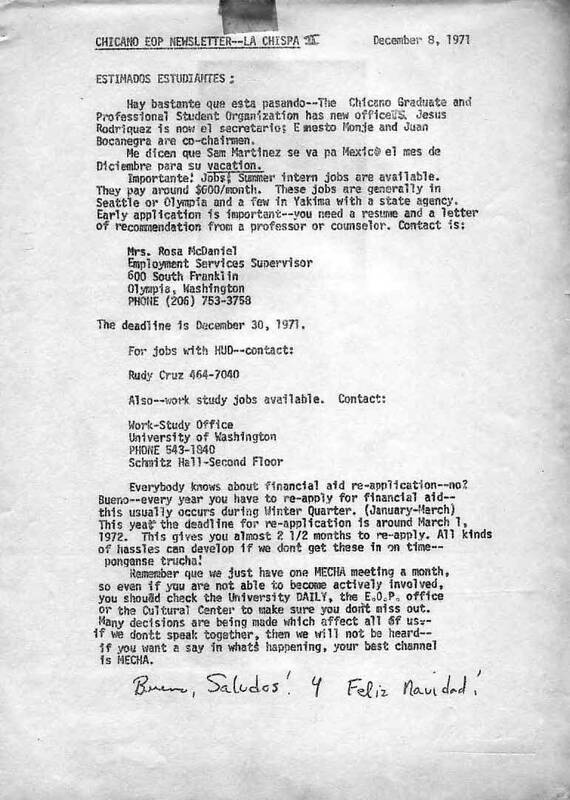 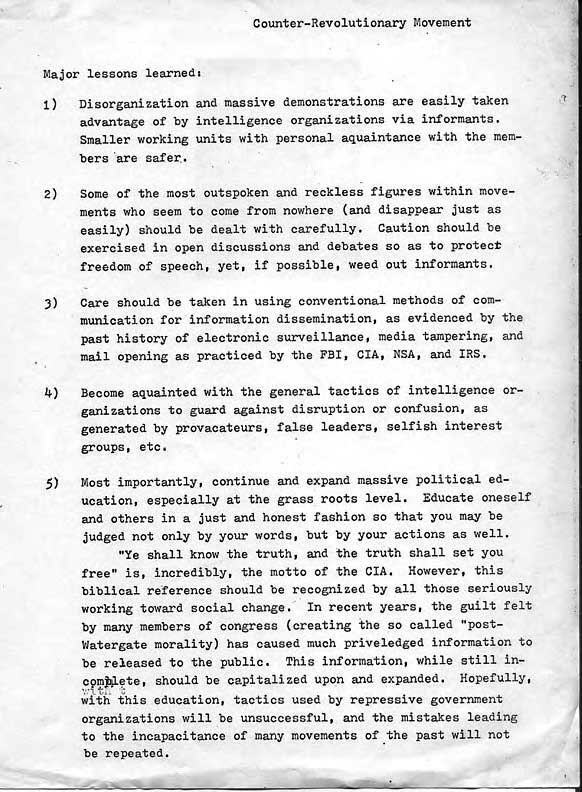 Click to enlarge and read documents. 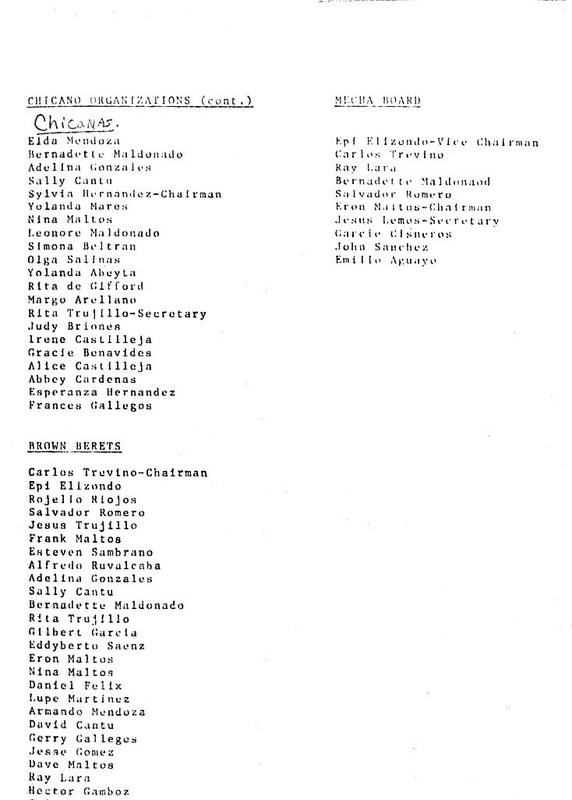 Some are in .pdf format. 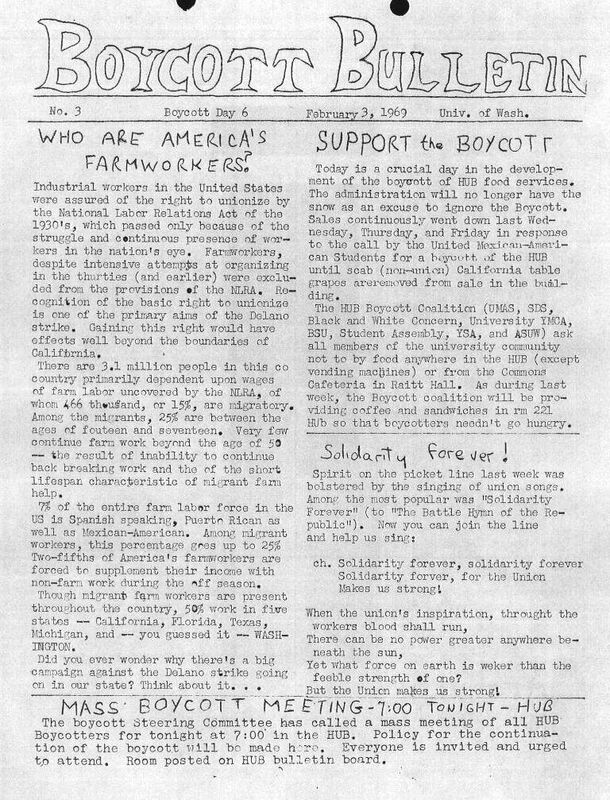 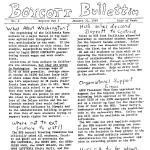 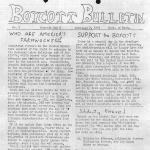 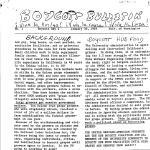 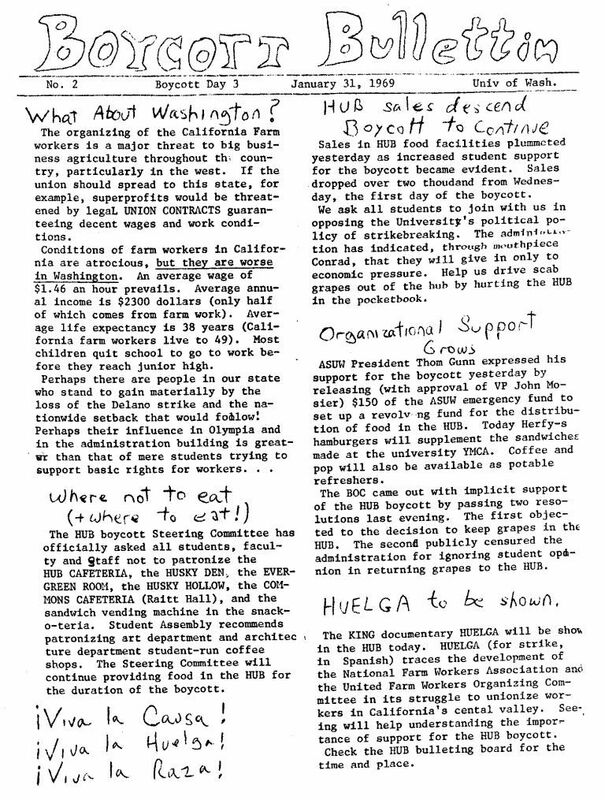 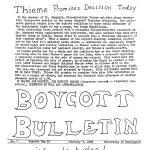 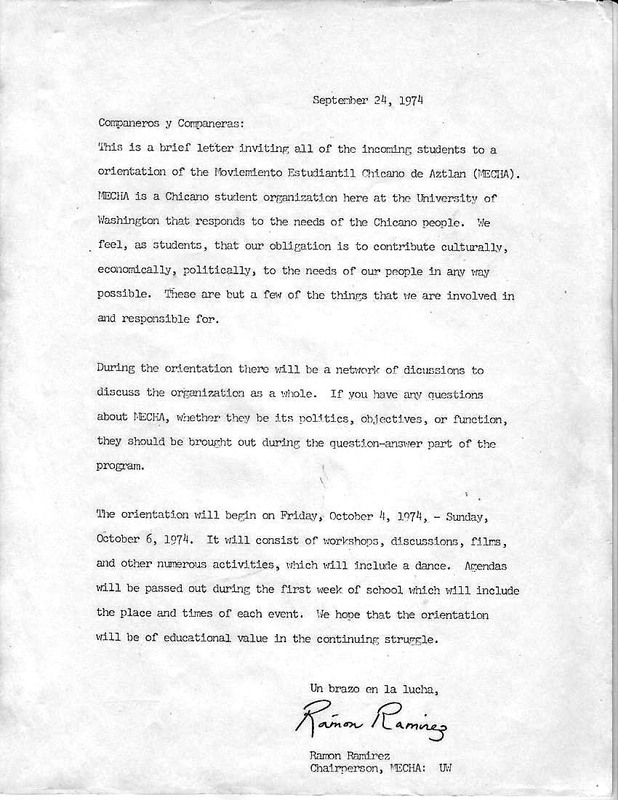 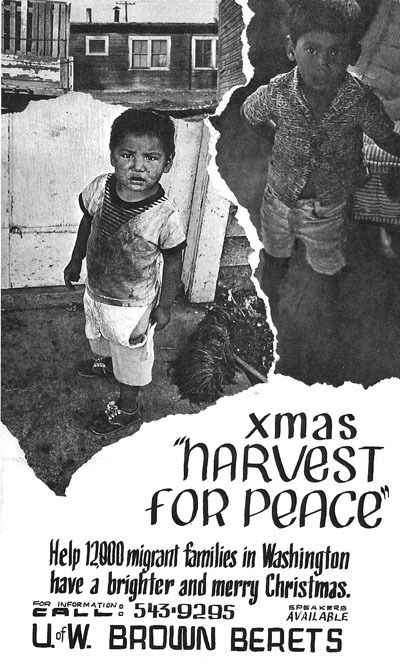 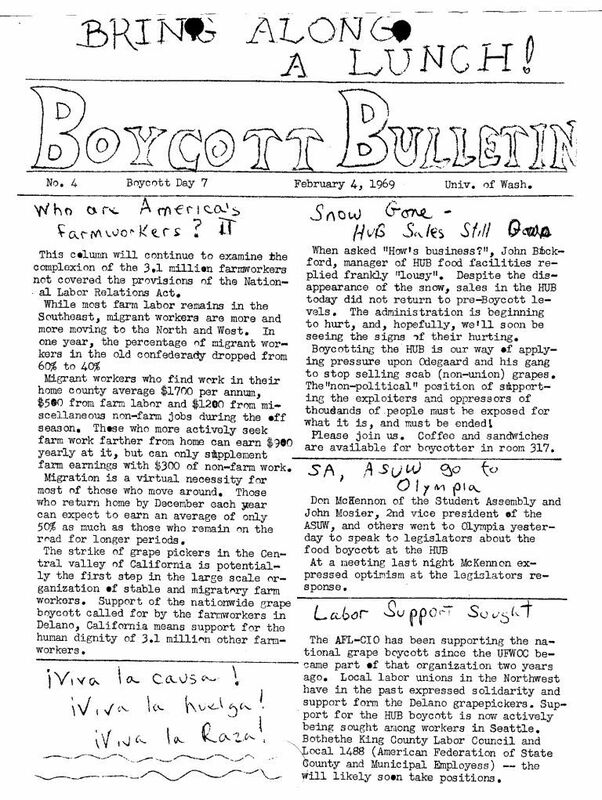 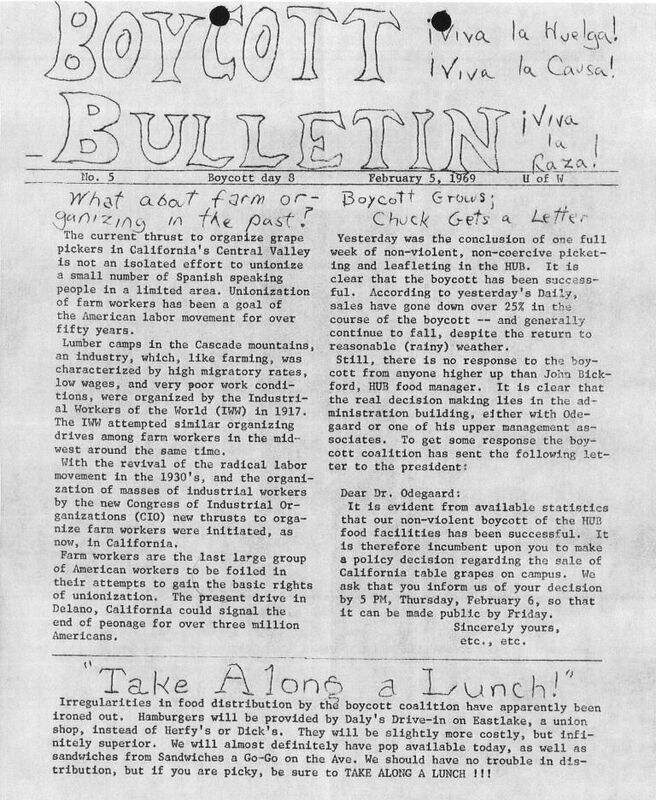 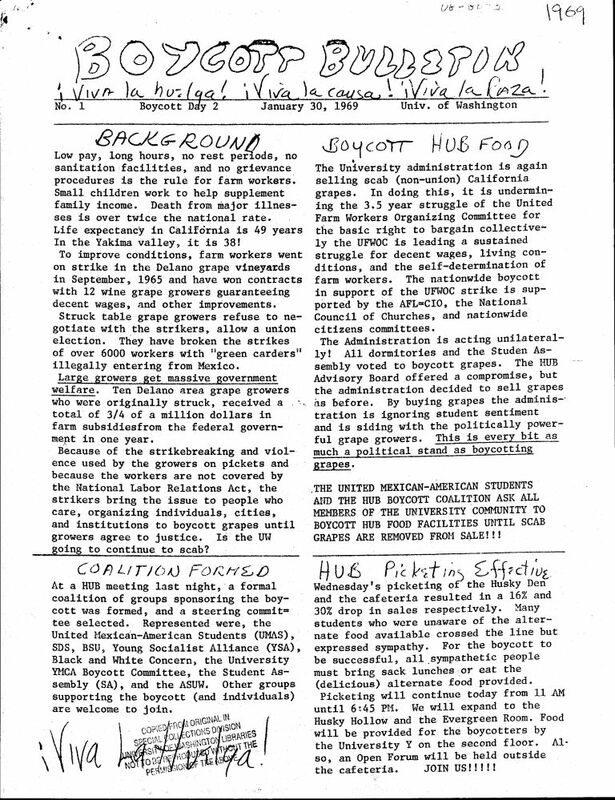 The HUB Boycott Steering Committee produced at least seven "Boycott Bulletins" to keep students up to date on the progress of its grape boycott during Winter Quarter, 1969. 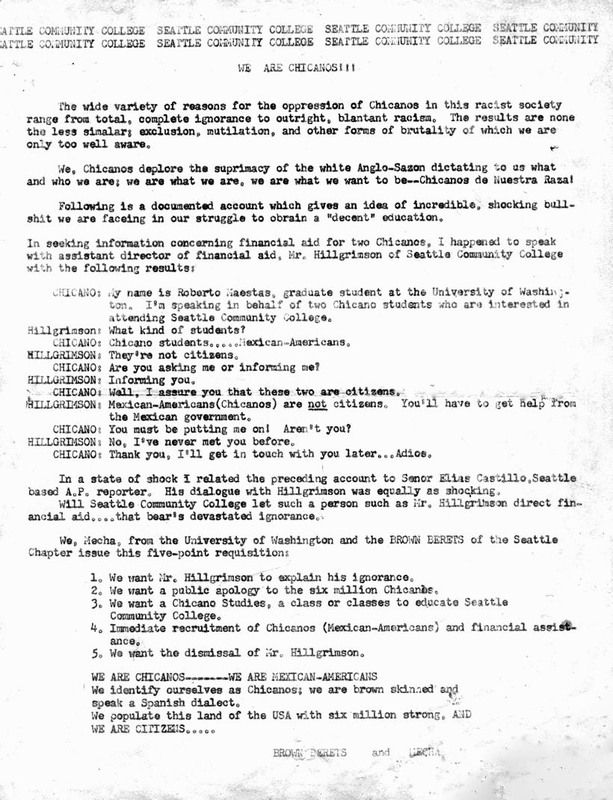 The following copies have been culled from multiple sources in the manuscripts collections of the University of Washington Libraries, Special Collections Divisions. 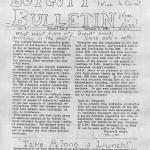 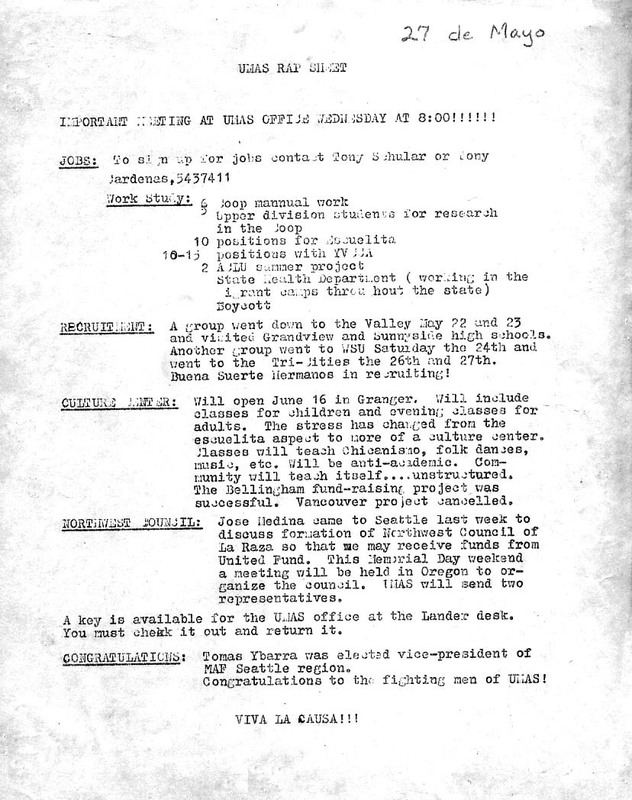 It is as close to a complete set of these rare newsletters that we have so far been able to bring together. 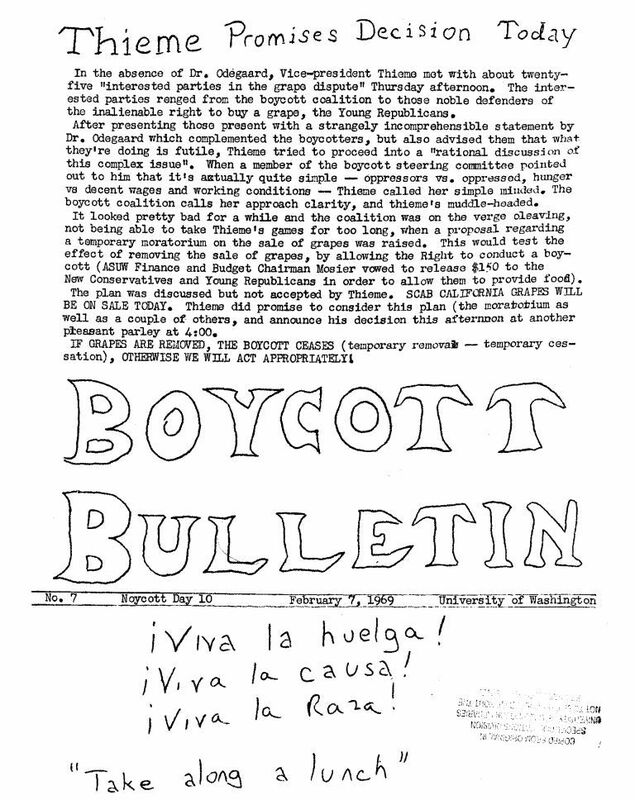 For more information on the boycott, see Jeremy Simer's La Raza Comes to Campus.